Dave Newton - keyboard, Geoff Gascoyne - bass, Sebastiaan de Krom - drums. "Bexley Jazz Club continues to host a weekly platform for the very Best of Jazz Musicians, as it has done with such success since 1992. Alongside this platform for musicians, we have built a Club where firm friendships have been forged and newcomers are always warmly welcomed - quickly becoming a part of the family at Bexley Jazz Club. Great jazz - played to a knowledgeable yet warm and friendly audience - results in superb entertainment for musicians and jazz lovers alike. Entertainment; that is the keyword at Bexley. 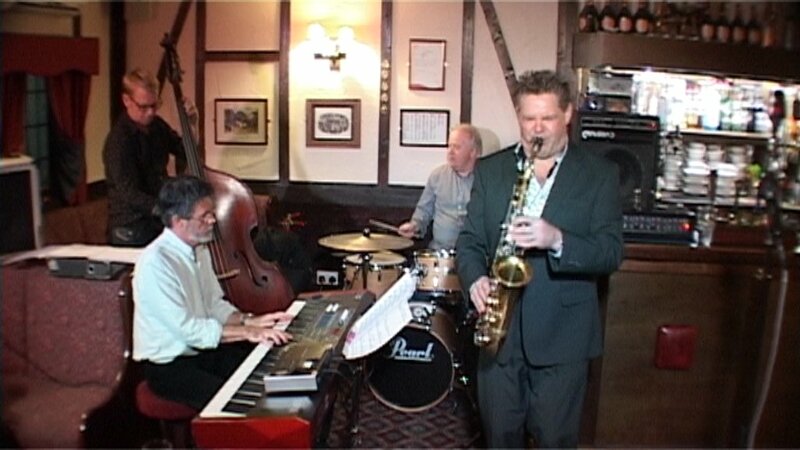 With this ethos Bexley Jazz Club will continue to thrive and prosper to the mutual benefit of Musicians and Members". At Joe Mudele's 90th birthday Alan Barnes, Derek Nash, Andy Panayi, Robin Aspland, Bobby Worth and Alec Dankworth give a fine rendition of 'Lover Come Back To Me'. 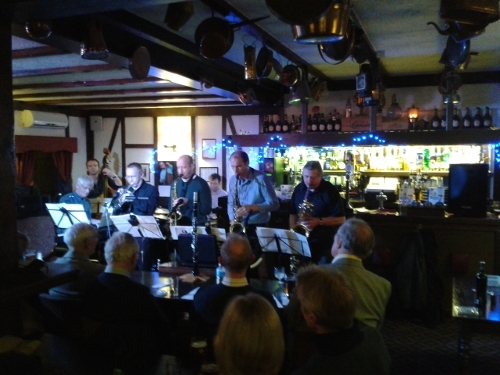 The Kings Head is the home of the Bexley Jazz Club where jazz can be heard every Monday evening in the pub's rear function room, creating an intimate atmosphere for jazz lovers. The pub has it's own car park, with an additional public car park behind the pub. The Kings Head is an ancient Inn dating from the 14th century and stepping inside this listed building is like going back in time - with its large open fireplace and copper pots and jugs hanging from old, blackened ceiling beams. 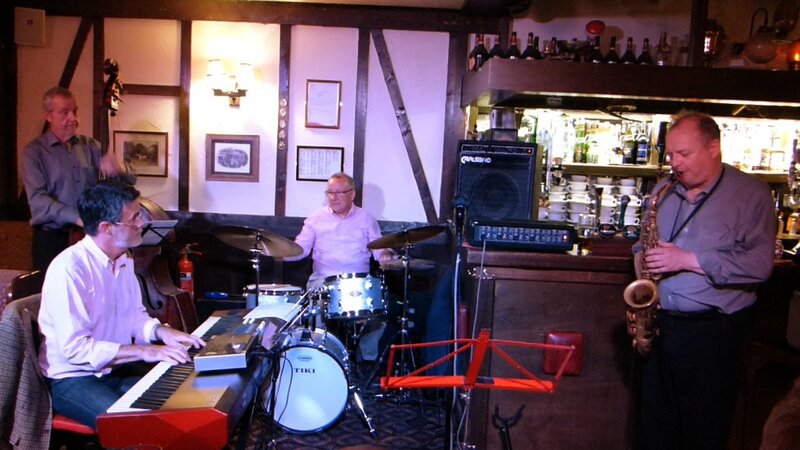 A good selection of real ales, a friendly atmosphere and great jazz make The Kings Head at Bexley a very special venue.